She's an artificial consciousness, designed in a lab to help humans process trauma, which is particularly helpful when the sun begins to die 5 billion years before scientists agreed it was supposed to. So, her beloved human race is screwed, and so is Emily. That is, until she finds a potential answer buried deep in the human genome. But before her solution can be tested, her lab is brutally attacked, and Emily is forced to go on the run with two human companions - college student Jason and small-town Sheriff, Mayra. 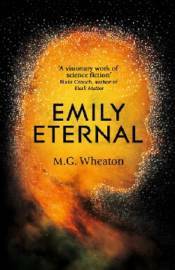 As the sun's death draws near, Emily and her friends must race against time to save humanity. But before long it becomes clear that it's not only the species at stake, but also that which makes us most human.